Home › Business Loans › Kabbage Review – Get Businesses Lines Of Credit Fast! Kabbage Review – Get Businesses Lines Of Credit Fast! Unlike the slow and document-heavy traditional business bank application processes, Kabbage makes it easy to apply online. You can even apply on your mobile device for amounts up to $250,000. Where Kabbage wins brownie points is the speed with which it processes applications. You can use funds whenever you need them and you won’t be hit with monthly maintenance fees or annual fees to have a line of credit in place. As long as cash is available, you can continue drawing on the line as needed. 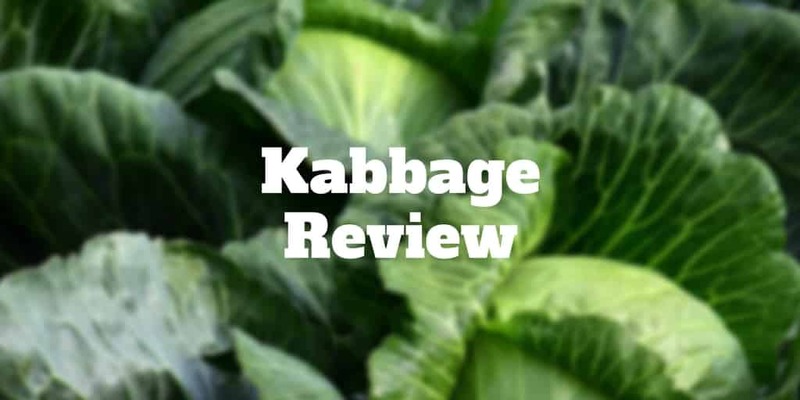 If you don’t have time to wade through a lengthy bank loan application process but need access to cash or a line of credit in a hurry, Kabbage is worth serious consideration. Kabbage evaluates business revenues and financials, as well as personal credit report, to qualify you for a credit line of up to $250,000. Approval times are as fast as 10 minutes and monthly interest charges do not begin until you actually use the capital. Kabbage evaluates your creditworthiness differently than most traditional banks might look at you as a loan applicant. Where old school banks might scrutinize your personal credit score and reject you solely based on a low score, Kabbage goes further by examining how your business is actually performing. When you set up an account with Kabbage, you will be invited to link your business accounts and enter basic business information. The next step is Kabbage will connect to your online accounts securely, whether a simple checking account, Stripe, Paypal, eBay, Amazon, Quickbooks, or Xero. Kabbage reviews how your business is performing by analyzing your revenues and financials so that it can quickly assess whether you qualify. When you check the boxes that meet Kabbage thresholds for revenues, cash flow, and credit history and get approved, you receive access to your credit line immediately. Once approved, you can select the desired loan amount on either a 6-month or 12-month loan term and review the payment schedule before making a draw. You can also withdraw money from your account whenever you need extra financial cushion room to finance expenditures. A nice feature at Kabbage is that customers only pay monthly fees while they carry a balance. So if you only have a balance for 2 months (even though you took out a 6-month term), you would only pay the first two monthly fees and that’s it. It is not until you use your borrowed funds that you will then be charged a monthly fee. And don’t worry if you want to pay off your loan early, you won’t be charged a pre-payment penalty fee. So, where Kabbage can be valuable to a small business is by providing peace of mind that you can access capital virtually on-demand after approval whether for say marketing spend in order to grow your business or equipment costs. Kabbage charges no origination fees or pre-payment penalty fees. While Kabbage gets top marks for loan approval speed, it won’t win the top prize for lowest loan costs. Getting fast access to cash means you likely won’t get the best rates possible. But if you do need money quickly or don’t want to deal with the hassle of a lengthy loan application process, Kabbage fits the bill. The first decision you need to make is whether you want access to a 6-month or 12-month loan. Kabbage then simplifies your payback amounts into regular installments. If you choose a 6 month term, you will pay 6 monthly installments and if you choose a 12-month term, you will pay 12 monthly installments. Over a six month period, you would pay back an equal portion of your principal plus the monthly fee. Pay attention that while the principal is paid back in equal installments, the monthly fees may be stacked upfront, so you pay more in the early months post-approval. Basically, Kabbage looks to get paid quickly on the interest charges or risk premium of the loan, so it front loads the fee payments. Fee rates can range between 1.5% to 10% monthly of the principal loan amount. *Note the minimum line of credit is $1,000 but the smallest a customer can draw on a 6-month loan is $500. If you choose a six month term loan, you are required to borrow a minimum loan amount of $2,000. The first two monthly fees on a 6-month loan term will range from 1.5% to 10% per month. Thereafter, it will drop to a flat 1% or 1.25% monthly for the remaining 4 months. The first six monthly fees for a 12-month loan term will range from 1.5% to 10% per month. From then on it will drop to 1% or 1.25% for the remaining 6 months. Kabbage offers two loan term durations of 6 and 12 months. If you choose the longer duration, your fee payments will be more than twice as high. Let’s say you want to take out a $25,000, how much would you pay back over a six and 12-month term? We will need to make an assumption for the sample calculation that you qualify for a 3% Fee Rate. Keep in mind that fee rates refer to monthly timelines not yearly and can go as high as 10%. The total fees over the six month period are $2,500 but note that they are stacked upfront so within the first two months, you will pay back $1,500 of the $2,500 in fees. If we stick with the same $25,000 loan paying a Fee Rate of 3% but look at the repayments over a 12-month term, you can see the monthly payments drop a lot comparatively but you end up paying much more in fees. By doubling the timeline from 6 months to 12 months, fees went up from $2,500 to $6,000, more than 100%, which tells you that if you can stick with a shorter time frame it is a better deal on fee payments. Application and funding timelines are fast at Kabbage. You are eligible for funding even if you don’t have a stellar personal credit history. However, you will pay high APR rates to access the money so quickly and must borrow at least $500 when choosing a 6-month repayment timeline. ✅ No Fees Until You Use Money: Kabbage provides you a credit line so you don’t actually pay interest charges on borrowed capital until you access the capital. ❌ High Fee Rates: Fee rates between 1.5% and 10% monthly are at the high end of the spectrum among lenders, so if you need access to capital quickly you will pay a premium for it. ✅ Fast Access To Cash: If you need money in a hurry and don’t have the time or luxury to work with big name banks to get approved for a small business loan, Kabbage can process applications in as fast as 10 minutes. ❌ Minimum Borrowing Amount: If you choose to borrow for a 6-month term, you must apply for a loan of at least $500 to qualify. ✅ Personal Credit History Less Important: Kabbage analyzes your business revenues and cash flow and personal credit to gauge how likely you are to pay back your loan. So if banks previously declined you based on personal credit alone, Kabbage may be a good option. ✅ Online & Mobile Application: You can apply for a Kabbage loan either online via the main Kabbage website or via your mobile device. ✅ Up To $250,000: You can access up to $250,000 via a Kabbage credit line. ✅ No Hidden Fees: The rates to borrow at Kabbage can be steep but it does win brownie points for simplifying the process and not charging additional hidden fees. ✅ So-So Credit Scores Eligible: Even if your credit is so-so but north of 550, you may be eligible for a Kabbage loan. ✅ Fast Funding: While applications take minutes, funding is almost as fast. You can access funding in approximately 1-3 business days. Compared to big banks, Kabbage vastly simplifies loan application processing for small businesses. Proprietary algorithms analyze your business revenues and cash flow data quickly so you can be approved in as few as 10 minutes and access capital in 1-3 business days. If you need capital in a hurry to pay for an unexpected cost, finance a seasonal spike in sales, or fund company expansion, Kabbage can make up to $250,000 available to you via a credit line. You won’t pay hidden fees at Kabbage or be required to make payments until you actually use the capital but the cost of monthly payments is high when compared to traditional banks and lending institutions. The bottom line is if you need money in a hurry or don’t want to spend time and deal with the hassle of a lengthy application process at a big bank, Kabbage can make funds available to you quickly.